“Richard from Boston rang. Can you ring him back? It’s urgent.” Only one snag…you don’t know a Richard in Boston. You may have a spreadsheet but will it tell you Richard’s telephone number in Boston ? – it might. Or it might not. The solution is a Database. Databases allow you to filter your search and find all the Richards and then all the Richards in Boston. Recently a Client asked me to find all the owners of Post Offices in a particular area so that he could send them a mail merge letter asking if they were interested in selling. Easy with a Database. If you would like to find out how a Database system can help your business contact Bluebird Software on 020 8349 4714. How can I increase the value of my business by 15%? Potential buyers are looking for a business that runs itself. A business where the business processes are as automated as possible, where they can get on with getting the customers and paying in the cheques. A database system can handle many if not all the intermediate processes. For example, a Property Solicitor enters the Seller or Buyers details into the system and the system generates all the client Care letters. A Management Training Company has a system that looks after delegates’ bookings, payments and courses. A firm of architects where all the contacts between Client, Architect and Planning Authority are handled automatically. If you had a choice of buying one company with a system like this or a Company that relied on a series of clerks doing similar things, which one would you choose? Bye-bye to the Backroom Boys (and Girls) !! Backroom staff are those whom you never see Front of House. They are the heroes who process your data, who organise things behind the scenes. But without them, the Company would seize up. Let me give you an example. An Electrical Fitting Company used to employ two staff whose job it was to receive calls from potential customers who wanted some work done, find an electrical fitter and the next available slot, book the fitter in, ring back the customer and produce a job sheet. Vital work. Bluebird Software produced a system that did all these tasks automatically. Result? The boss answers incoming calls and runs the software so the customers are allocated the next free fitter. He now employs two extra fitters. The two backroom boys have gone. The Company is more efficient and profits have dramatically improved. As well as pronouncing potatoes and tomatoes incorrectly, Americans have their dates round the wrong way. The 30th of June 2016 is written in American as 06/30/16. Unfortunately, Microsoft thinks that everyone is American. When you have installed, Windows 10, Microsoft assume everyone likes their dates American style. This means that in Word , when you type ALT SHIFT D the date is shown with the month before the day. The same thing can happen in Excel and Access. The other problem you may find is that the @ and # keyboard keys have moved from their normal places. Click on : Add a language and select English United Kingdom. Click on Move Up to make sure English UK is at the top. It is best to delete English United States otherwise, you can find yourself fippling back to it by accident. Lost a name or Phone Number? – Outlook can help you find it..sometimes. Not everybody knows, but you can filter a mass of emails to extract the ones you want. 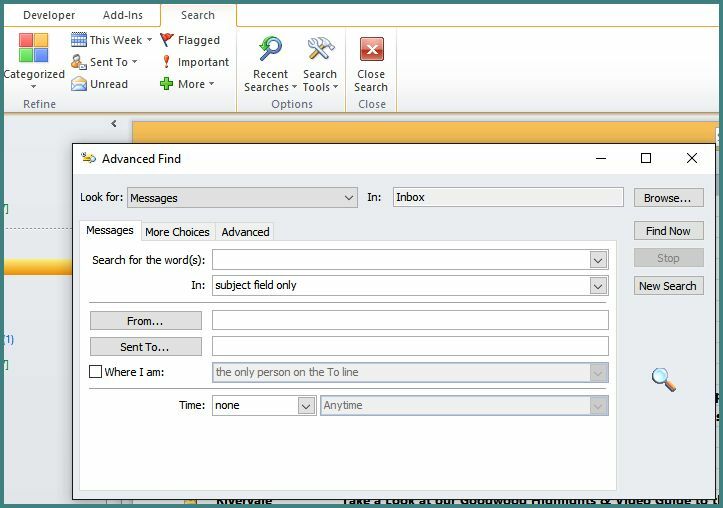 In Outlook, on the top right, just below the Ribbon there is a Search box – Search Inbox (Ctrl + E) and typing a word into this will filter all your emails to just show ones with that word in it. Typing ‘Bentley’ into the box will just show all files containing that word. There is also an ‘Advanced Find’ which will let you apply more criteria. These tools are better than nothing – but if you are doing a lot of searching, you will find it much easier using a proper database. Contact Bluebird for details. Did you know you can do calculations in a Mail Merge? One of the advantages of using Mailmerge in a database is that you can easily perform repetitive calculations. For example, if you are calculating the amount a member owes for a particular membership type, or the cost to include his or her family, it can easily be included in your merge. This is not really possible if you do your mail merge using MS Word alone. All this can be calculated automatically for each club member. What a saving in time and energy! To know more about Mail merge give Bluebird a ring. Is your Backup System doing what you think it is doing? When to draw the line on Spreadsheets. An Excel spreadsheet has over a million rows and over sixteen thousand columns. But they start getting unwieldy at sizes far smaller than this. How do you know when it is time to do something about it? It takes ages to open the Workbook. It takes you several minutes to find the right place and make sense of what you are looking at. A linked spreadsheet is missing and rows will not show correctly. You cannot find the information you want. Do you need to produce Reports based on Surveys? Bluebird has recently developed a system that allows you to enter Survey data on an Android Smartphone and when the phone has network access to seamlessly transfer it to a Database. If there is no access, the phone caches the information, and relays it back when a wireless or a a 3g or 4G network is within range. For more info – contact Bluebird. Are you an Illegal Character – or are you using them? You also can’t put a space as the first character in a file. 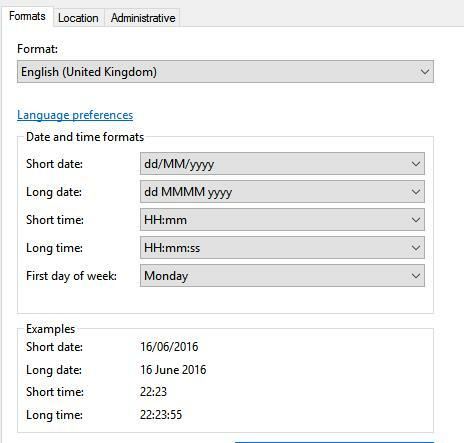 So to put a date as part of a file name – separate with dashes – not slashes!! Christmas is the time – to let them know you are still here! Many businesses send Calendars or Christmas or New Year Cards to their customers – to remind them they still exist – and are ready for their business. Now is the time to dust off your Client List, remove the rubbish and make sure all new Clients or Prospective Clients are on the list – with their correct contact details. Let us know if your database needs to be created – or needs a clean!